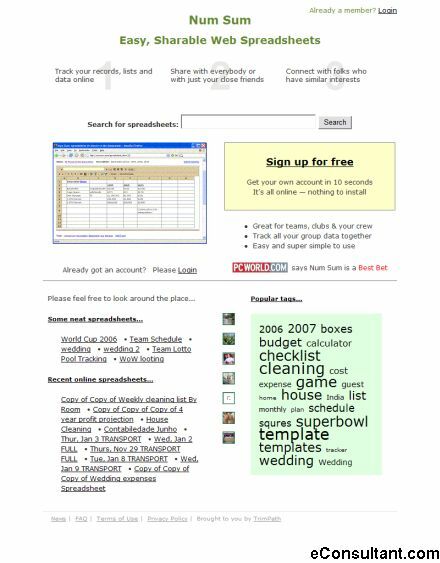 Description : Num Sum is a web site that brings you online, simple, sharable web spreadsheets. In other words, you can now create social spreadsheets. All you need to join in is a modern web browser. Track your records, lists and data online, Share with everybody or with just your close friends and Connect with folks who have similar interests.